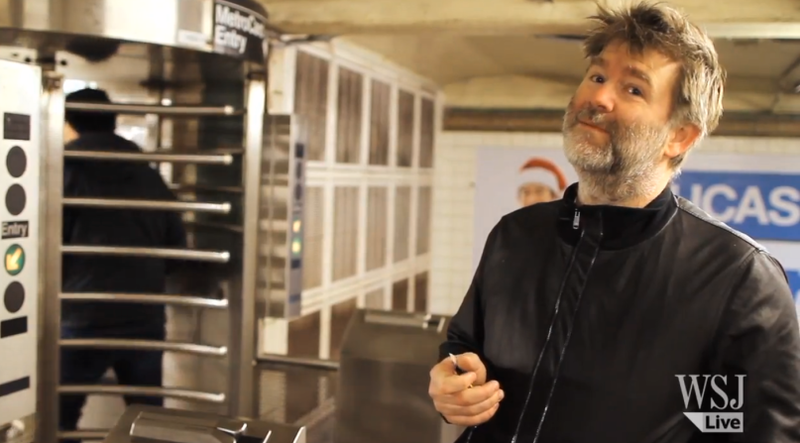 Since putting LCD Soundsystem on the shelve, James Murphy has split his time between producing music and DJing. What he really wants to do, however, is soundtrack New York City’s subway system. Now, The Wall Street Journal has shared a video interview with Murphy discussing the project and previewing some of the sounds he would install into the turnstiles. As Murphy notes, now is the perfect opportunity to launch the project, as New York’s Metropolitan Transportation Authority recently announced a $900,000-a-year project to renovate the turnstiles. The MTA deemed Murphy’s proposal a “very cool idea,” but questioned its feasibility. MTA spokesman Adam Lisberg explained to The Wall Street Journal said the city wouldn’t want to temporarily disable each of the city’s 3,289 turnstiles “for an art project.” In response, Murphy has launched a petition to support his efforts.